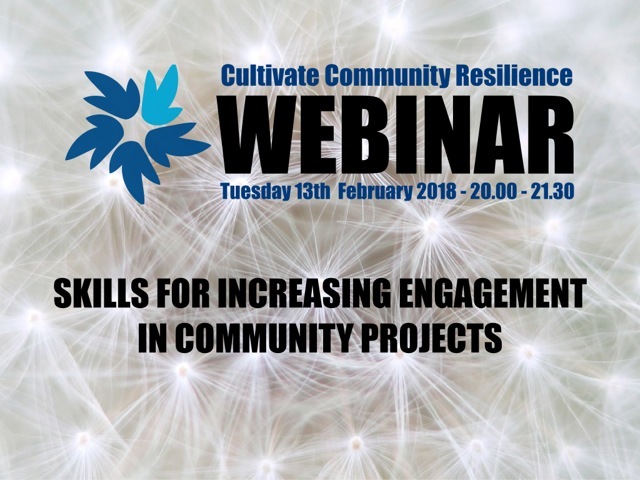 Based in Cloughjordan the Community Resilience programme develops resources and delivers training in community resilience - the capability of communities to hold together, learn, adapt and maintain their ability to function in response to change. Where sustainability aimed to change the world, resilience looks for ways to manage change in an uncertain world. See all 10 Powerdown Shows, the Surfing the Waves of Change animation, and other resources. 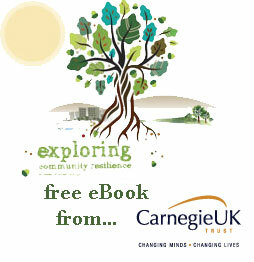 Get started by downloading a free copy of Carnegie Trust's Exploring Community Resilience here. 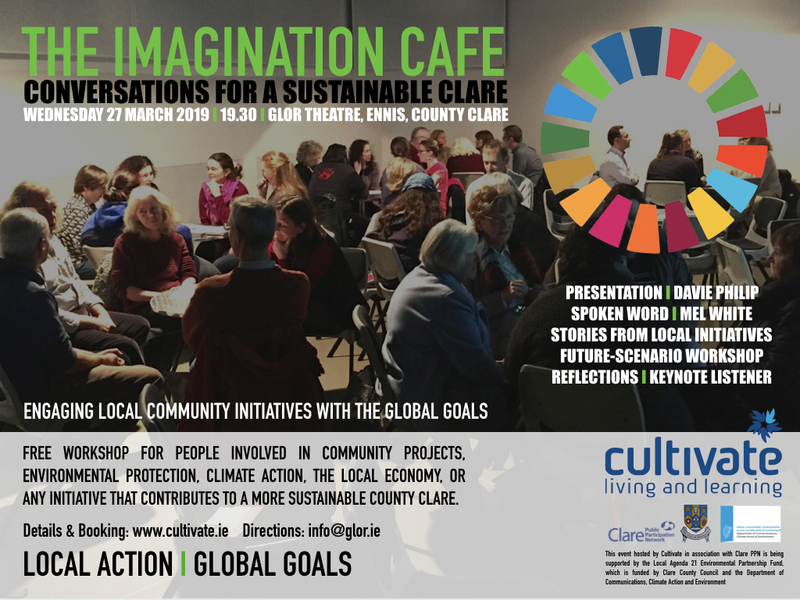 This free evening workshop for stakeholders of Clare based projects will cultivate collaboration and greater cohesion between groups in the context of climate action and the Sustainable Development Goals. Saturday 23rd March 2019 - with additional Friday evening and Sunday events. 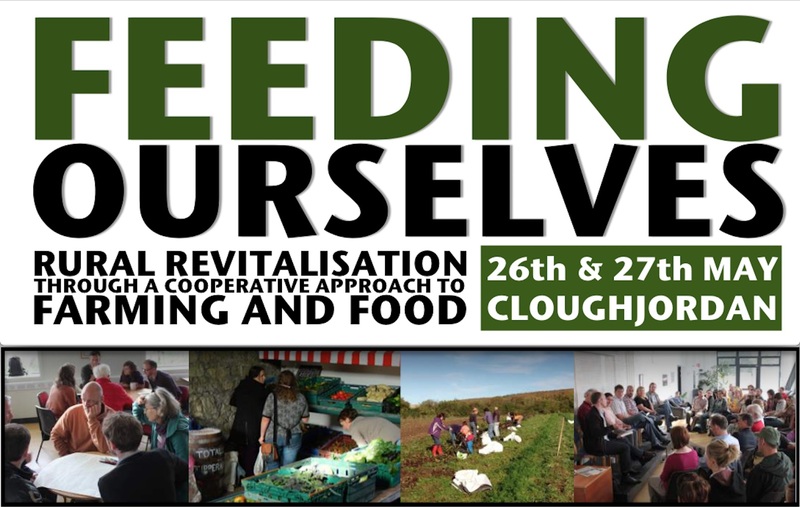 This is the annual conference bringing together agroecological farmers, community food advocates and anyone with an interest in good food, good farming and community revitalisation. Farm Meal, Film and Conversation with Talamh Beo and Extinction Rebellion. With the challenges facing us, many movements, organisations and individuals are calling for sustainable change. Alongside global movements what can we do to ensure our local areas are healthy, resilient and support our wellbeing? How can we connect to have meaningful work, local food and energy, and for our communities to be a positive force in these critical times? Let's come together to rethink what actually sustains our communities and what these diverse elements of change can look like. We're illustrating the efforts made across Ireland for an installation that will feature in Convergence, our annual sustainable living festivial, and that will become an interactive exhibit to be showcased in the Global Green at the Electric Picnic and at future events. 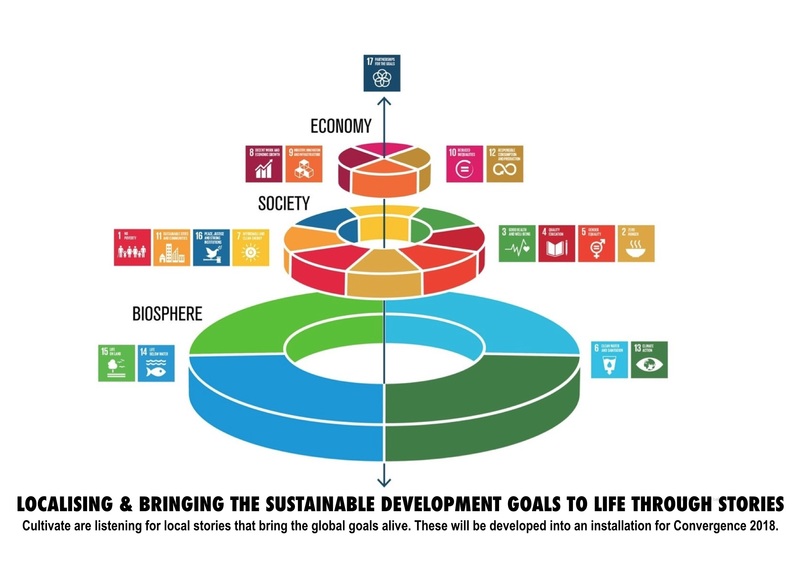 If you are involved in, or know of an initiative please fill out the following form and help us illustrate the stories of how we're coming together for a healthier, happier and more sustainable future. We are delighted to present this interactive webinar to share ideas to increase engagement in local projects and introduce fresh approaches to facilitate transformational conversations in your own community or organisation. Davie Philip, Cultivate’s Community Resilience Manager will present some of the learnings of 20 years of working in the sustainable community sector. He will also lead a short interview with Chris Chapman (Change Exploratory and Art of Hosting) on his experience of facilitating groups and there will be space to ask questions or share your own experience. The webinar will also outline the details of the ‘Art of Facilitation' course being held in Cloughjordan. 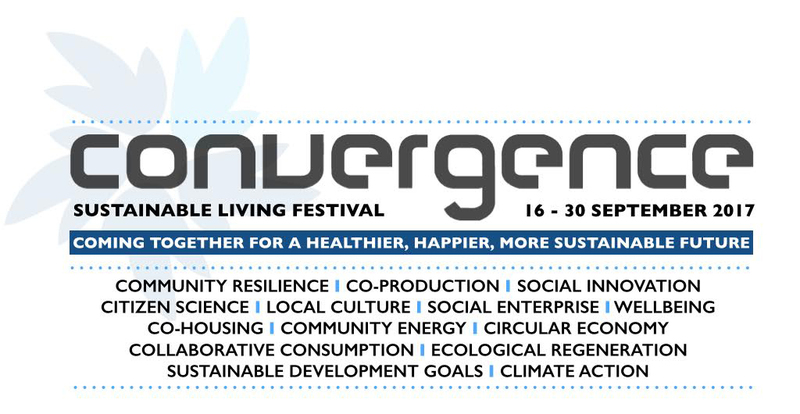 The CONVERGENCE FESTIVAL 2017 celebrates Ireland’s response to the global challenges we face — through transformative, community-led approaches to meet our climate targets and implement the UN's Sustainable Development Goals (SDGs) for a fair, healthy and low-carbon future. Across Ireland, citizens, social enterprises and communities are already using social innovation, co-production and collaborative consumption to strengthen resilience, foster their local economies, and create new jobs in areas such as food, transport, energy, education, housing and waste. The Convergence Festival 2017 brings together community champions, social entrepreneurs, researchers, networkers, support agencies and policy-makers from around the country to identify and celebrate best practices, build capacity for local change-makers, and promote widespread understanding of the actions local communities can use to transform our lives and the places we live. Convergence is supported by the EPA, DCU, the Environmental Pillar and Galway European Green Leaf 2017. 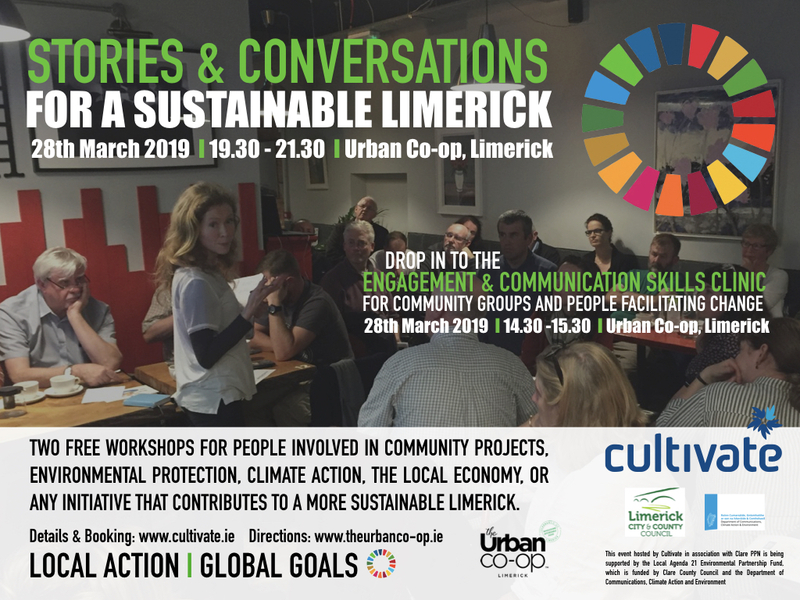 Carlow County Council, Galway City Council, Limerick Council and the Department of Communications, Climate Action and Environment have supported events in Convergence through the Local Agenda 21 Environmental Partnership Fund. Develop your competencies in facilitating groups and using new tools to host transformational conversations in your community or organisation. This full-day course will provide participants with processes to better host meetings, enable dialogue, facilitate participative events and cultivate flourishing communities. This event will examine the changing role of the facilitator as a catalyst for change, and is aimed at those that have no background in facilitation and also those who are experienced seeking to enrich their skill-set. 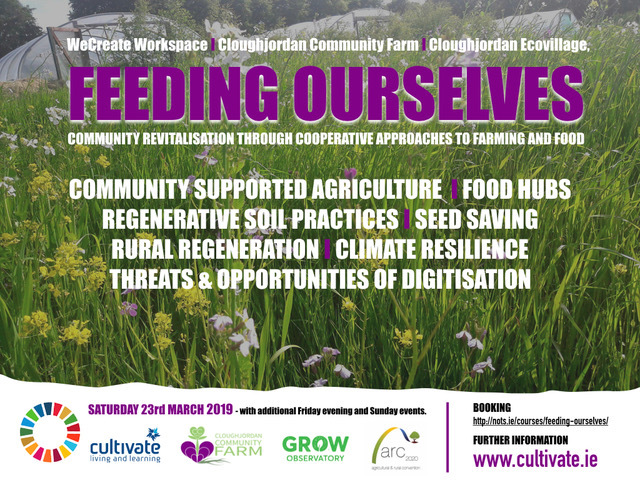 Davie Philip, Cultivate Living and Learning; Chris Chapman, the Change Exploratory; and Aaron Bailey, Cloughjordan Ecovillage/Next GEN. 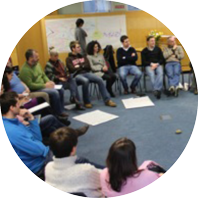 This training is for people working with established or emerging community groups, organisations and co-operative initiatives and for anyone interested in convening better meetings, working with groups, hosting events and designing and delivering courses in a more participative way. Adult and community educators, trainers, hosts and facilitators who want to develop their skills and ways of working to enable them to have impact as we transition to a more values-based and collaborative economy, will benefit from attending this course. Learners will gain a comprehensive understanding of the competencies needed for effective facilitation and then delve into more advanced aspects such as appreciative enquiry, hosting meaningful conversations as well as practical experience of co-facilitation and group facilitation. This training will introduce practices that support collaboration and citizen engagement. The course will be held in the WeCreate Workspace in Cloughjordan Ecovillage one of Ireland’s best examples of an ecosystems of innovation: it includes over 55 high-energy performance houses with community woodlands, renewable energy production, a wood-fired bakery, research gardens and a CSA Community Farm. Accommodation is available in Cloughjordan Ecovillage. To book Django’s Eco-Hostel see www.djangoshostel.com or call +353 87 256 9348. 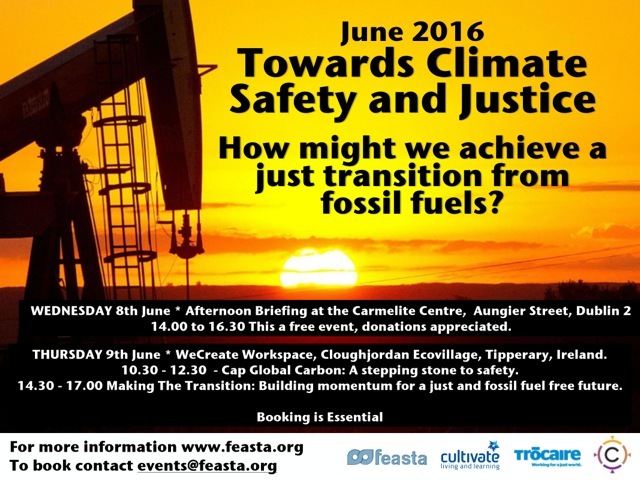 On Thursday June 9th, Feasta, Trocaire and Cultivate are hosting an event to bring together activists, researchers and policy makers from environmental, climate, social justice, development and divestment movements. We would like to invite you to join us. We will be exploring how we cap carbon and looking at emerging ideas and initiatives that are inspiring a citizens movement for a fair and sustainable transition from fossil fuels. 10.30 - 12.30 Cap Global Carbon: A stepping stone to safety. Making The Transition: Building momentum for a just and fossil fuel free future. These events are free of charge and include a delicious local lunch, booking a place is essential. What role do community groups, co-operatives and local enterprises have in the circular economy? Under what conditions can the circular economy help us accelerate the transition to a resilient and low carbon society? 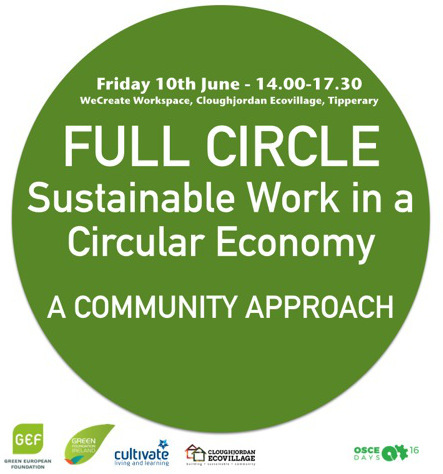 This afternoon seminar will explore a commons and community approach to the circular economy and local livelihoods. Scene setting presentations will be given by Belgian-based Anne Snick, Cillian Lohan (European Economic and Social Committee), Claire Downey (co-ordinator of Community Reuse Network Ireland) and other Irish community and local economy advocates. Dr. Anne Snick has over thirty years of experience in academic research (KU Leuven), practice in working with families in poverty (University Centre Kortenberg) and action research into new economic models (Flora Network). Her research interests are the systemic analysis of poverty, (gender) inequality and ecological crises. Her focus is on the co-creation of alternative socioeconomic models via commons-based allocation of resources and of a gender analysis of how ‘work’ is defined and valorised. Symposium in Autumn, date & time TBA. It is easy to see and agree on what we don't want, what we want to leave behind. In order to find out where we want to go, the imagination comes into play. Departing from the concept of someone very talented 'possessing' imagination, this evening workshop takes you along a journey of radical imagination as something we do together, as something that grows through conflicts, contradictions and communication. 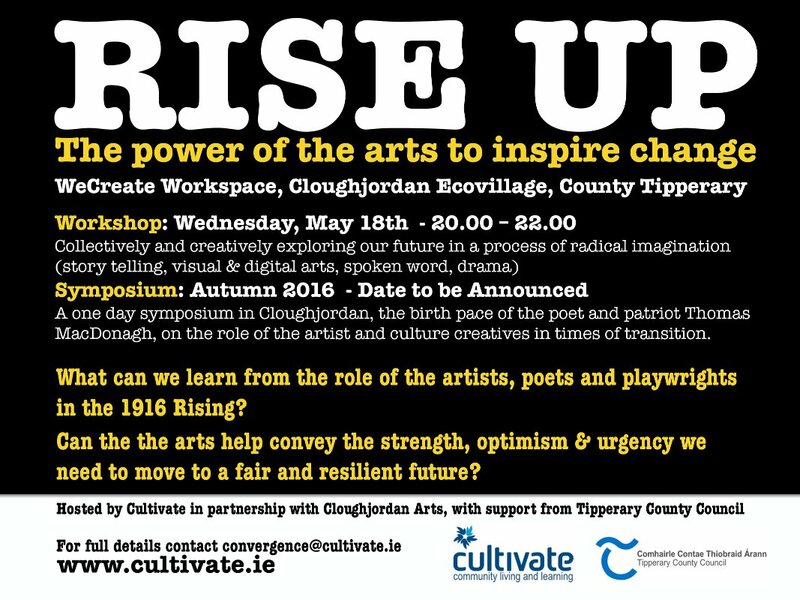 A one day symposium in Cloughjordan, the birth pace of the poet and patriot Thomas MacDonagh, on the role of the artist and culture creatives in times of transition. Reflecting on the role of the artist in the rising of 1916, this event will explore the power of the arts and creativity to challenge injustice, individualism and consumerism now. What is the repsonse of the artistic and creative community to the vexing problems of climate change, social justice and an unsustainable culture? How can the arts change our sense of what is possible and engage society on climate action? Can the the arts help convey the strength, optimism, and urgency we need to move to a fair and resilient future? 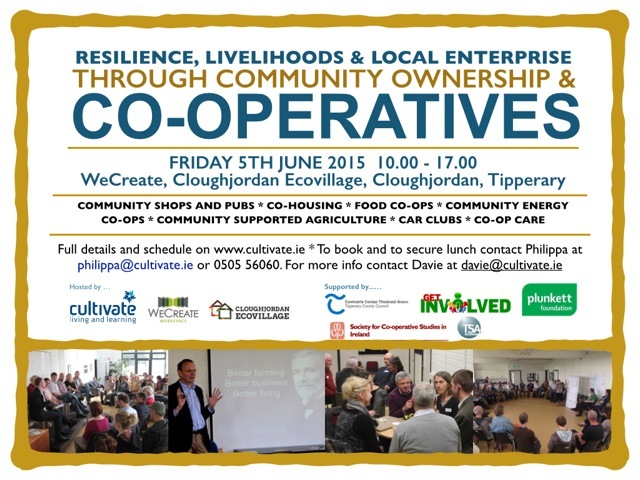 Hosted by Cultivate in partnership with Cloughjordan Arts, with support from Tipperary County Council. Following on from last year’s ‘Housing Ourselves Co-operatively’ conference held in October 2015, this event will feature discussions and presentations from people involved in the various aspects of developing Co-Housing schemes. The event aims to bring together those interested in setting up a co-housing project, community development and housing agencies, planners, architects and social finance organisations to look at making Co-Housing a reality in Ireland. 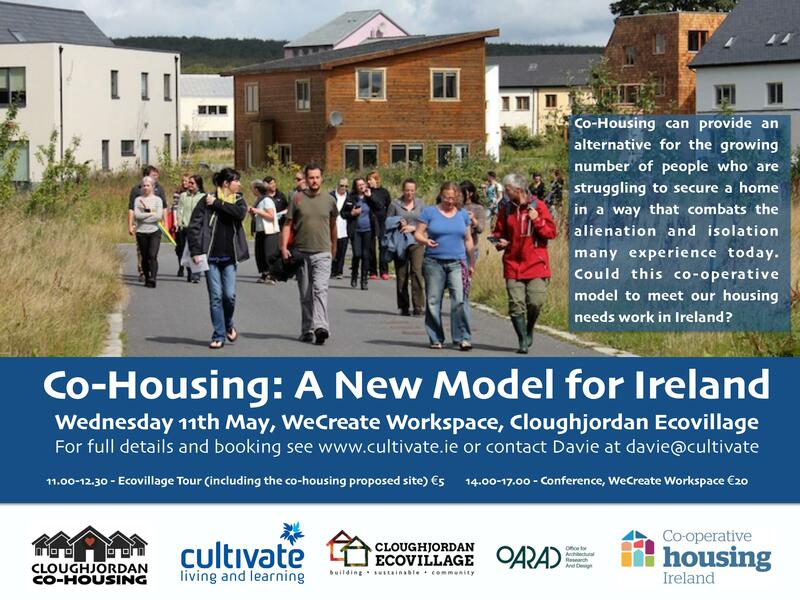 Cloughjordan Co-Housing, who have been working on designing and financing a Co-Housing project in Cloughjordan Ecovillage will share their learning. For full details and booking see www.cultivate.ie or contact Davie at davie@cultivate. One of the schools we worked with on our Schools for Resilence project was Colaiste Chill Mhantain in Wicklow. They recently posted a great little video on about their Schools for Reslience Transition Year project. How Does a Community Find and Tell Its Story? A friendly weekend at the WeCreate Workspace in the Cloughjordan Ecovillage, looking at how we can use stories to bring communities together and inspire others. This background article, What’s so special about storytelling for social change?, will help give context to this event. We are running this event at minimum cost and with flexibility so that people can attend either day or both (and with a late start too, to fit with trains coming from Dublin). We ask people to contribute what they reasonably can, over and above the minimum fee, in proportion to the event’s value to them. To book a place, please click on this link. As I live and work in rural Ireland, it is the local application of the sharing economy that most interests me. Cloughjordan is a small heritage village located less than two hours from Dublin and is reachable by train. In the past the village had suffered from population decline and some of its key services were under threat before the ecovillage project first arrived in 2003. The term ecovillage is actually a little misleading, as we are very much a neighbourhood of Cloughjordan that is experimenting with good practice in community regeneration. 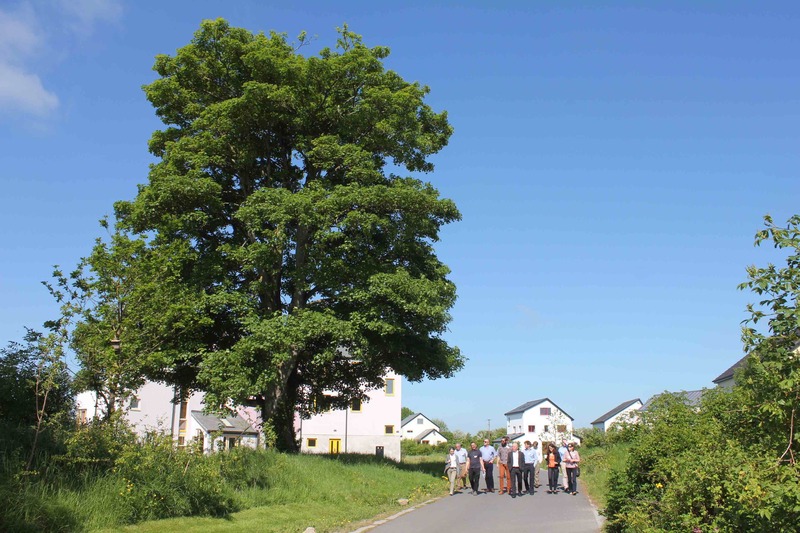 The ecovillage project has now attracted over 65 families to move to Cloughjordan contributing to the flourishing of the whole village and is now seen as one of the healthiest communities in Ireland. In the last two years, it has won the National Green Community Award, in 2012 was voted runner up in an ‘Irish Times’ contest looking for the ‘Best Place to Live in Ireland’ and this year has been nominated for an Irish Pride of Place award and a UN award for liveable communities. This week a full day workshop was held in Ennis that explored how we might nurture our communities to be healthier and more sustainable. Over 30 people from different community initiatives from across the county attended the session, which was organised by Clare County Council and held at the Áras Contae an Chláir. The day focused on how people and groups can work with and learn from each other to sustain the economic, environmental and social well being of our local areas. 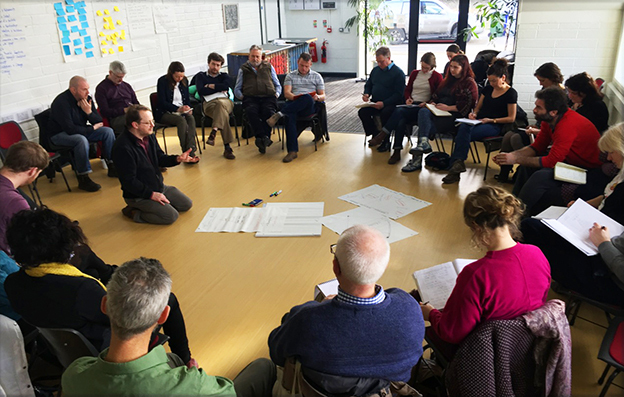 Davie Philip and Chris Chapman from Cultivate Living and Learning, a community training organisation based in Cloughjordan, Tipperary, facilitated the workshop. “This was a great opportunity to engage with other people and groups working for the betterment of our communities and to share knowledge and learn new skills.” said Joan Tarmey the Environmental Awareness Officer. Community Resilience - What is It? The term ‘resilience’ is widely used by ecologists and is defined as the ability of ecosystems to maintain themselves in the face of disturbance. Resilience from a community point of view refers to the capacity of a community to cope with stress, overcome adversity and adapt to change positively. Read more: Community Resilience - What is It?